Get an overview of Trademark InSight™ – a powerful platform that allows you to control your brand more efficiently. Managing your brand may often seem like a daunting challenge. OpSec developed Trademark InSight so that you can easily streamline your agreement, distribution, and approval processes and focus on other tasks such as growing your brand. With seamless integration to other OpSec InSight™ modules, you can now manage and protect your brand from one single platform without the hassles and costs of using multiple tools. Adam is Global Software Product Line Manager for OpSec with direct responsibilities overseeing the development of Trademark InSight. 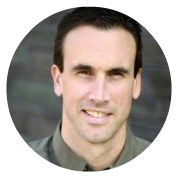 Adam has 12+ years of experience leading the successful execution of software implementations for key customers. Experience includes holding a variety of professional service responsibilities in software consulting, end-user product training, technical product support, software implementation, and software product line management. Bill is Vice President of Global Marketing for OpSec. His career has spanned the industries of telecommunications, home improvement retail, direct marketing agencies and video gaming with responsibilities including advertising, marketing, direct mail, communications, loyalty programs, brand management and sales management.